With Readly you can read Sketchbooks and thousands of other magazines on your tablet and smartphone. Get access to all with just one subscription. New releases and back issues – all included. The sketching stage is integral to any piece of art – it forms the foundations that everything else balances on. 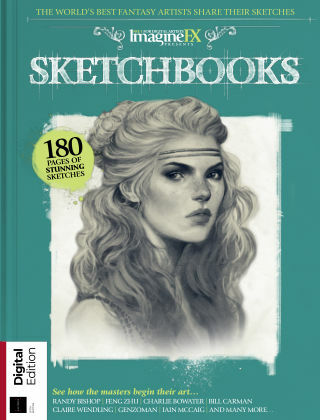 Sketches can often provide interesting insights into the processes and thinking behind the finished piece, as well as show off technique and skill. An artist’s sketchbook is sacred and personal – often thought of like a diary – filled with uncensored thoughts, emotions and unique flourishes that are special to them. The freewheeling excitement in sketches – where artists don’t hold back, don’t over-think, don’t censor – is hard to beat. This book is about such captured moments bursting with creativity, straight from the minds of the finest illustrators around the world. Whether made by pencil or stylus, sketches may be loose and generous or precise and economic, but all reveal something about the pure fun of creation.